Farrar, Straus and Giroux, 9780865478602, 320pp. How was Nike able to take a gamble on an unknown Michael Jordan and transform itself from a $900 million company to a $9.19 billion company in less than fifteen years? Why did the artist Jeff Koons's Balloon Flower (Magenta) sell for a record $25.7 million in 2008? What does the high school football star have in common with the Hollywood headliner? And why should an actor never, ever go to Las Vegas? 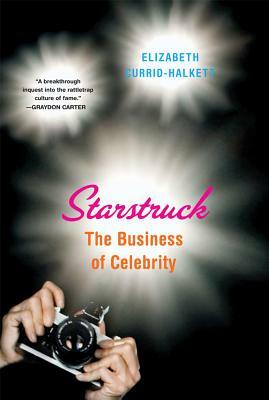 In Starstruck, Elizabeth Currid-Halkett presents the first rigorous exploration of celebrity, bringing together extensive statistical research and analysis along with interviews with top agents and publicists, YouTube executives, major art dealers and gallery directors, Bollywood players, and sports experts. Laying out the enormous impact of the celebrity industry and identifying the patterns by which individuals become stars, Currid-Halkett successfully makes the argument that celebrity is an important social phenomenon and a driving force in the worldwide economy. Elizabeth Currid-Halkett is the author of The Warhol Economy and an assistant professor of sociology at the University of Southern California. She holds a PhD in urban planning from Columbia University and divides her time between New York and Los Angeles.